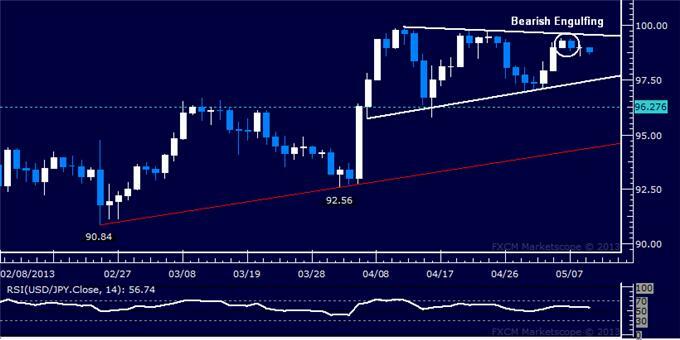 USD/JPY Technical Analysis- Prices are consolidating in a Triangle formation below the 100.00 figure. A Bearish Engulfing candlestick pattern hints a move lower is ahead. Near-term support is at 97.40, with a break below that exposing a pivot barrier at 96.28. The Triangle top is now at 99.57.